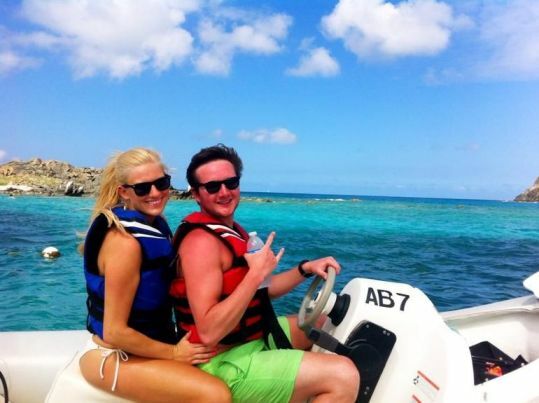 While in St Maarten, spend your precious time enjoying the clear blue water of the Caribbean and feel the tropical breeze in your hair as you drive your own 2-person inflatable boat. That’s right! You are your own captain on this excursion. Travel along the beautiful coastline passing Friar's Bay, Happy Bay and Marigot Harbour, going towards the reef at Creole Rock, with views of the island of Anguilla. On the return, we'll enter Simpson Bay via the Dutch side bridge, so we'll be traveling on the other side of the lagoon. This will give you a totally different perspective of the area. Creole Rock is a large rock formation with a reef extending towards the mainland, about a mile offshore. 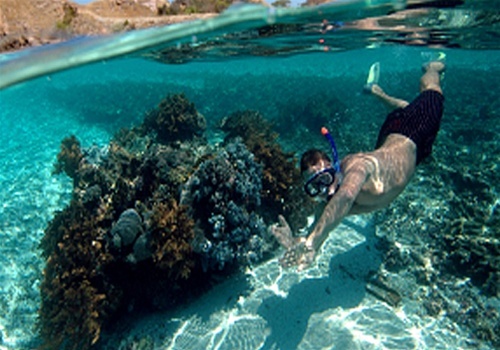 Waters are shallow and calm and provide excellent swimming and snorkeling. Your guide will be able to help those first-timers with instruction and is able to identify fish for you. 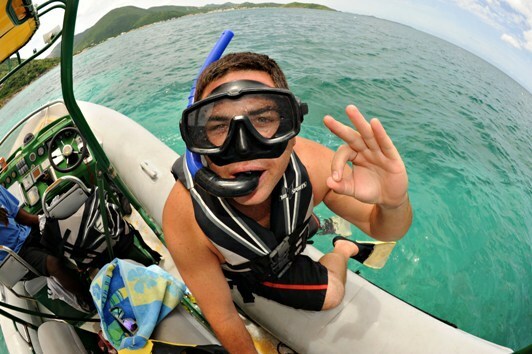 Snorkel gear is included in this tour. The mother boat, Rock 'n Roll, will accompany you with a cooler of ice-cold drinks and snorkeling equipment for everyone to use. 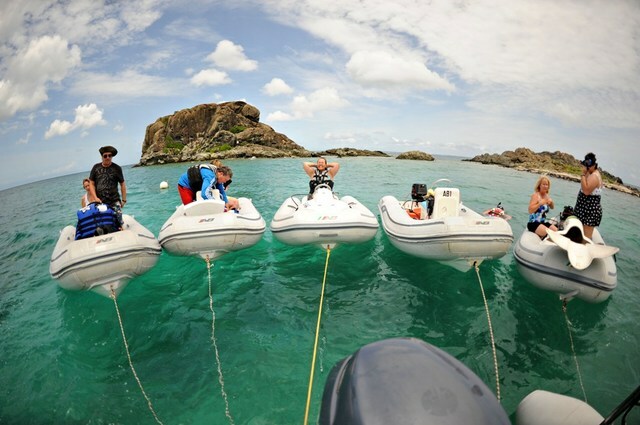 With plenty of snorkeling, swimming, sightseeing and zooming through the water, this tour is an action-packed excursion that you’ll never forget. 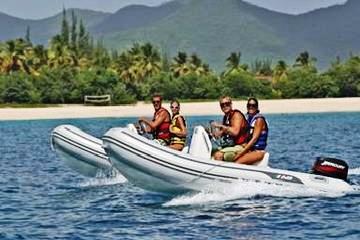 Maximum of 5 boats per session..book early to guarantee space! •	Stop at Happy Bay or Friars Bay on the way back. •	Credit card deposits are required at check-in for the tour. Slip will be destroyed once boat is returned in the same condition it left. •	Maximum weight limit per boat is 500 lbs. combined. 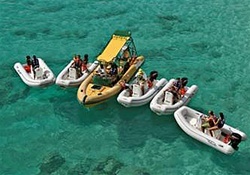 •	Guests must be able to pull themselves from the water over the side of the inflatable boat with little to no assistance. •	Transfer to and from Simpson Bay are not included. Simpson Bay is located approx. 30 minute from St. Maarten cruise port. Taxi service is readily available at the port. Meeting instructions will be printed on your voucher. Great day. highly recommend it.